Cherry is one of the most popular flavours in the world of vaping. Cherry e-liquid by Webster’s One Pound Wonder delivers exactly what it promises - sweet cherry flavour with an authentically juicy taste. 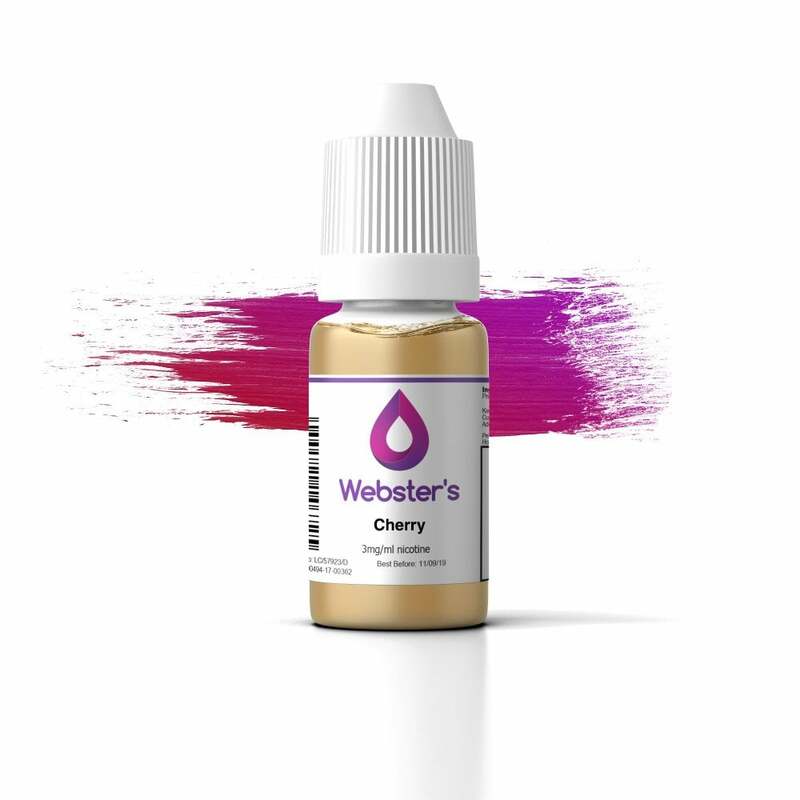 If you’re looking for a fruity alternative to your usual tobacco or menthol e-liquid, Webster’s Cherry could be exactly what you need. Great value. Great flavour. Will be buying this again. Such a bargain ! Love these liquids and this site !!! I ordered the 6mg for my Hoxton Original. For £1 I didn’t have high expectations to be honest, but actually this has a lovely scent and a gentle flavour to it. It doesn’t have a heavy hit on the throat which is my preference. Would definitely order again. Tastes the way nail polish remover smells. Which you may or may not appreciate. Very intense flavour, really good draw with little or no throat hit even at 18mg. Will be getting this one again.